Do you [heart] baseball? 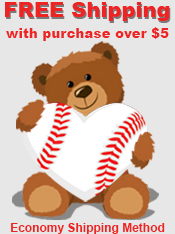 Show your [heart] for the game by sporting a Baseball Hearts button on your hat, back pack, jersey, t-shirt, jacket, etc. These 1" buttons feature a heart shaped emblem themed for baseball. 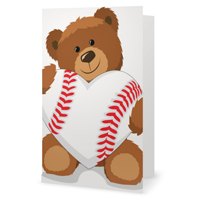 Each pin pack includes four 1" pin-back buttons (3 Baseball Hearts pins and 1 Sports Roses logo pin). They are the same size as a quarter. 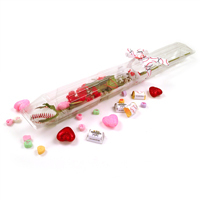 Give them as a Valentine's Day gifts to your classmates or players on your team. Or keep them to start your own collection of Sports Roses pins. Nothing shows a baseball fan how much you care better than an everlasting Baseball Rose. Swing for the heart!